According to legendary, the deities wake up early in the morning during this holy month of Dhanurmasa and perform special prayers to Sri Maha Vishnu during the auspicious period of “Brahm Muhurta”, which is one and half hours before sunrise. Keeping the legacy forward, during this month, devotees offer prayers to the Lord very early in the morning. The month of Dhanurmasa is considered a very special month for performing Puja of Vishnu. Worshiping Vishnu who is believed to be none other than Lord Venkateswara in Kaliyuga, on a single day during this auspicious period is equal to worshiping Vishnu with devotion for 1000 years. Andal Sri Goda Devi is considered to be one among the 12 Akwars. 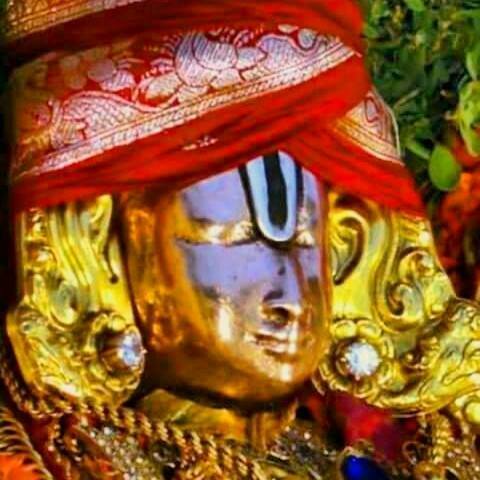 The Tiruppavai is a collection of thirty stanzas (paasurams) written by Andal also know as Nachiyar, in praise of the Lord Sri Venkateswara. It is a part of Alwar Divya Prabandha and is important in Tamil Literature. Goda Devi performed a wonderful vratham or prayer called Dhanurmasa Vrahram to tell us that, by practcing this vratham, one can attain all materialistic happiness along with the enternal bliss. The period, from when the sun moves into the constellation of Dhanurrasi or Sagittarius and until it moves out to the constellation of Makara or Capricorn is know as Dhanurmasam. This month is said to be holiest for observing penance, worship, vartas and other spiritual programmes etc, to attain salvation. Period : Dhanurmasam will start from 17th December to 16th January. Seva's Not Perform : Suprabatham, Thomala and Archana. Seva will perform : Thrupavai.